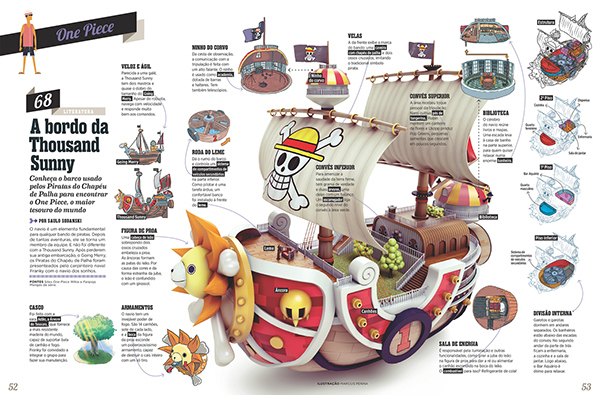 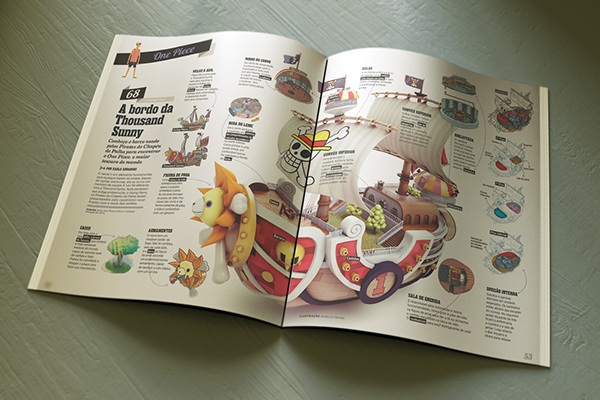 A double spread and some extra illustrations for Mundo Estranho magazine special edition Grandes Sagas, depicting the second main ship on the popular One Piece anime series. 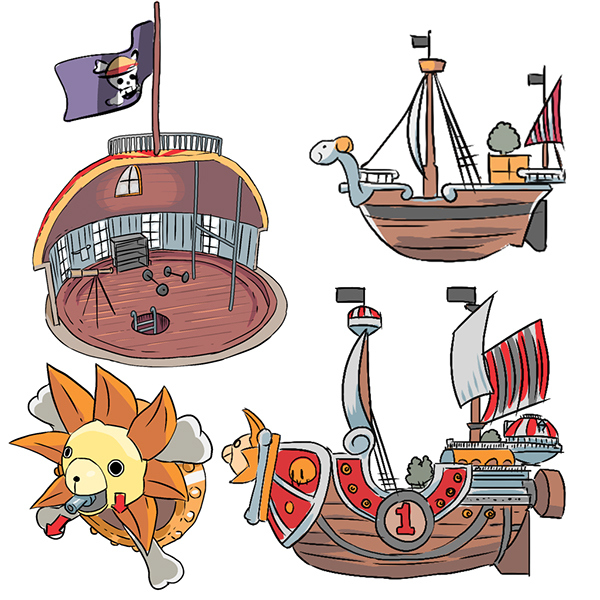 The crow's nest, the main cannon, the Thousand Sunny and the Going Merry size comparison. 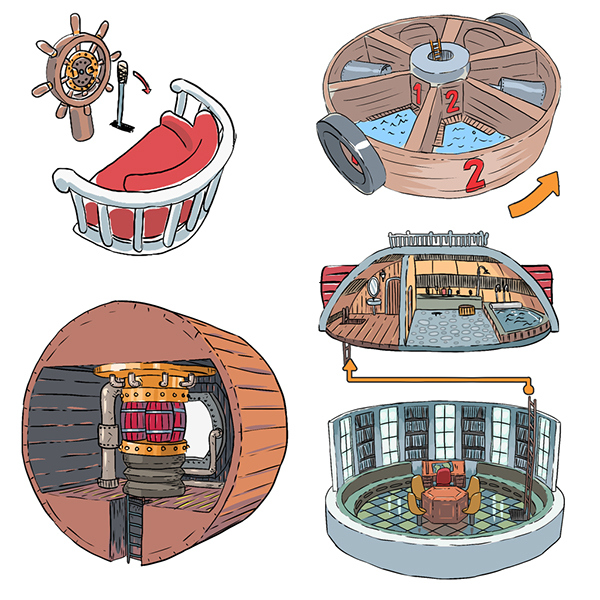 The ship's wheel (unused), the multi-ship storage, the library and the bathroom, the cola powered main engine. 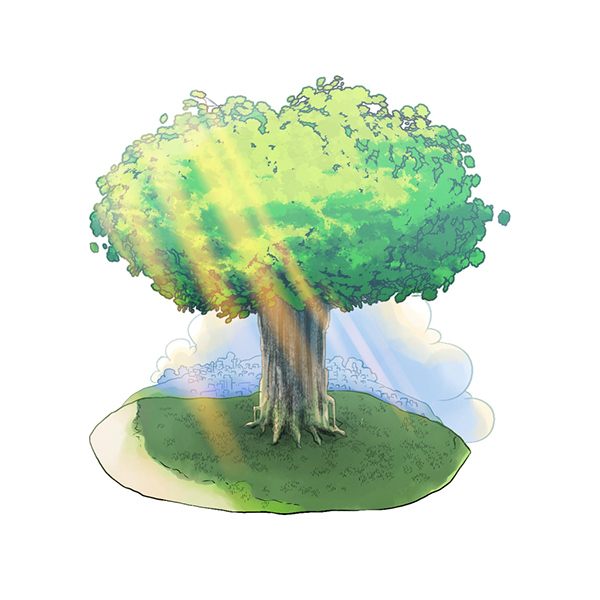 The indestructible Treasure Tree Adam. 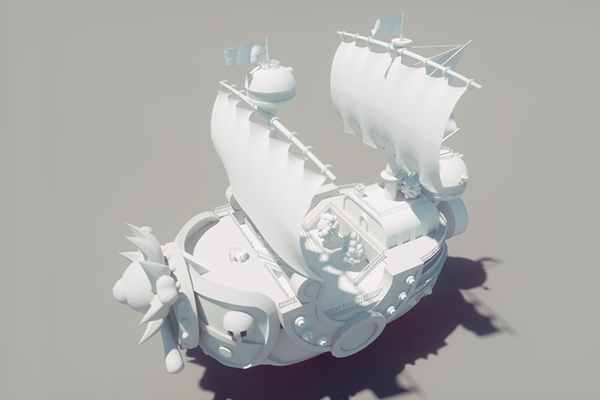 Clay render of the completed model. 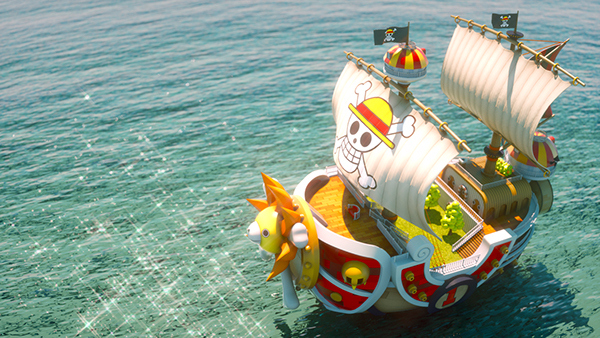 An unused render of the ship on water. 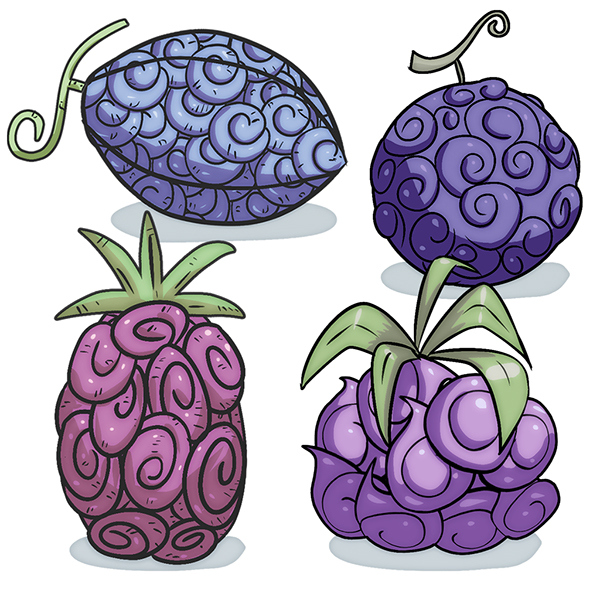 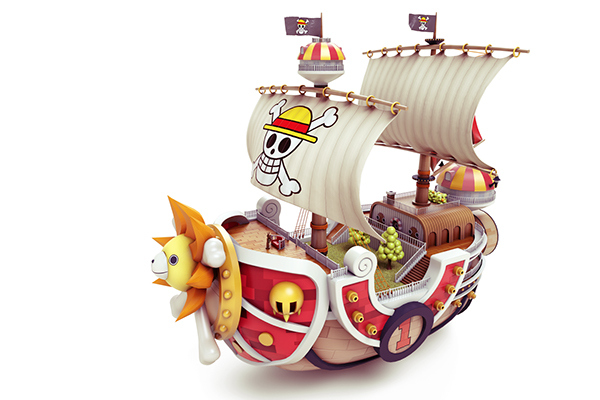 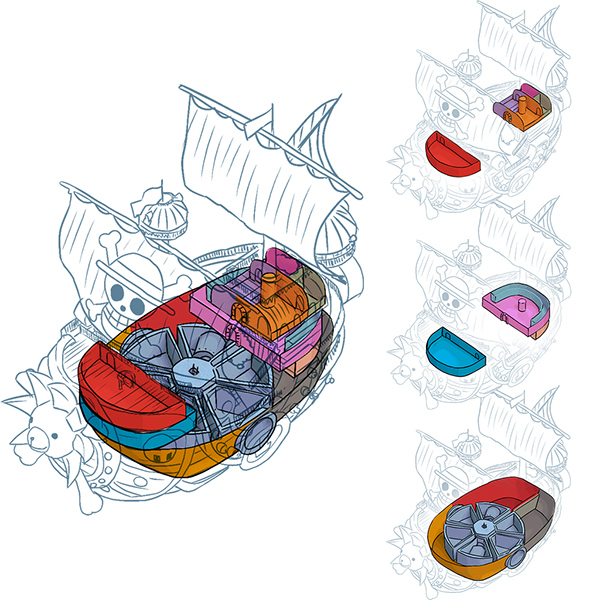 A detailed look on the various parts of the Thousand Sunny ship from the One Piece anime.